"Fort Concho has long honored the accomplishments of its soldiers. 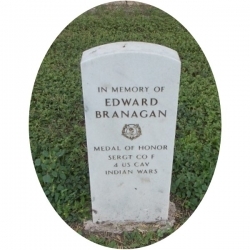 In particular, we have honored five men who served here and also were awarded the Medal of Honor. 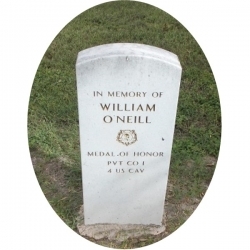 Between Headquarters and the Quartermaster Building stand a stone interpretive marker and five “in memory of” Medal of Honor headstones, the only ones in the nation that are not in a federal, state or local cemetery. 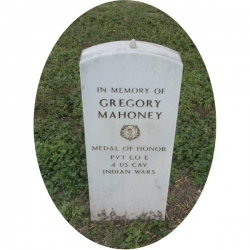 They were put here because in 1992 the burial locations of these five men were unknown. 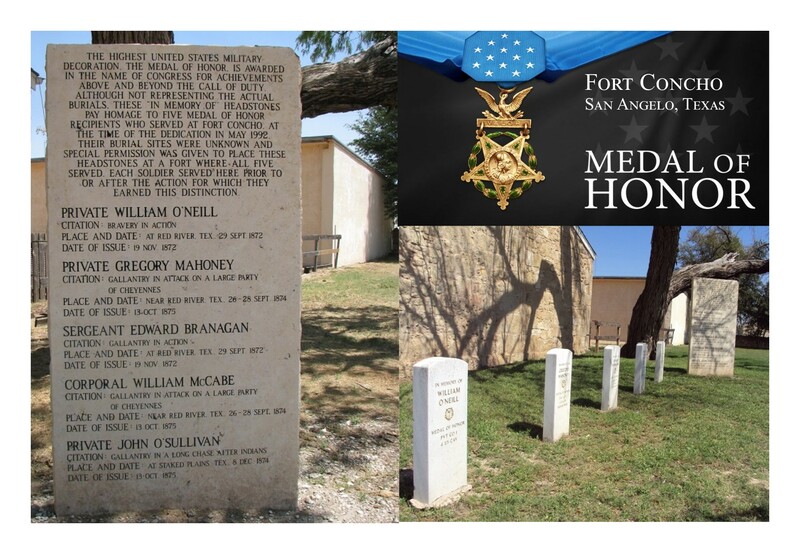 And while these five are the only ones so memorialized they are not the only soldiers from Fort Concho who received the Medal of Honor. 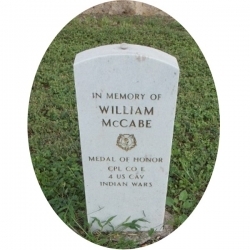 Currently research has uncovered twenty-eight men who both received a Medal of Honor and served at Fort Concho." 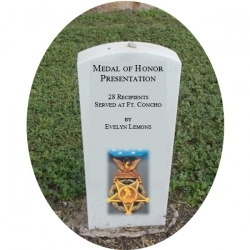 Evelyn Lemons, Historian, Historic Fort Concho, San Angelo, Texas. Click on each memorial marker icon to link to their Medal of Honor citation, or to link to the Index of all 28 Medal of Honor recipients who served at Historic Fort Concho.